From Jerry Bridges I get seven excellent tips for Bible teachers. But the most important thing I need to learn from him isn’t even in that list. Author Jerry Bridges died a few days ago, and I can’t help but feel the church has lost a master teacher. 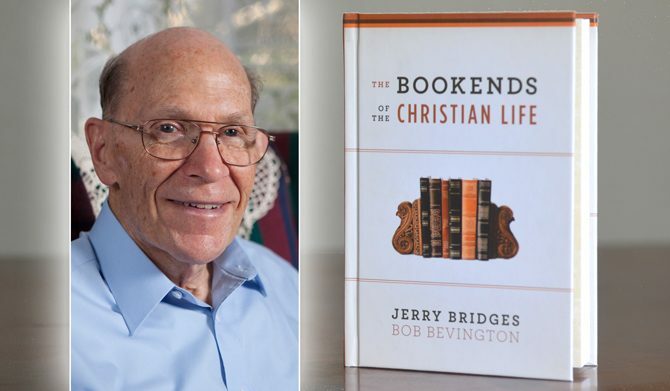 Bridges may not have been the best-known Christian writer of his era, but he has to be one of our best examples of the kind of person a writer and teacher ought to be. He said what we need to hear and, most remarkably, got better at knowing what to say every year of his life. As a teacher, he never stopped being a learner. The first time I read one of his books I didn’t like it much. As it turns out, neither did his older self. In his later years, his favorite topic was to share the many ways he’d grown in his understanding of life with God. He often said he wished he’d known from a young age what he learned later. The Bible is not just a book to read for information. It is meant to be applied to specific situations that come up in life. Everyone who trusts in Jesus is joined to him in an ongoing and living way, like branches to a vine. We are in him and he is in us, giving life. Serving God instead of ourselves requires effort from us, but this is never self-effort. God is at work in us, and we are to join in his effort. Our responsibility to battle sin in our lives begins with a deep dependence on God’s work. When we understand that God chose us to be his, not because we earned his love but out of sheer grace, it transforms the whole Christian life. Because as believers we are joined to Christ, everything Jesus did—both his perfect obedience and his death for sin—is credited to us. We have nothing more to earn and no judgment to fear. This gospel message of our salvation by grace is not just for unbelievers who still need to be saved. We believers need to keep preaching it to ourselves every day. We need the comfort, confidence, and hope the gospel gives. It motivates us. The motivation of the gospel is not enough by itself to produce Christian growth. We also need the Holy Spirit to empower us to live for Christ. Any book Bridges wrote in the last decade will cover one or more of these themes. This includes my personal favorite of his books, the lesser-known The Bookends of the Christian Life, which is in the photo above. It briefly and clearly explains items 6 and 7 in the list. If you look at the whole list again, you may notice it makes an excellent framework of truths and practices for teachers to instill in their students. Bridges’ wish that he had known these things from a young age can become our pledge to teach them to our young students. It will be of great benefit to them. But as helpful as that list is for my teaching, I need to learn something even more important from Jerry Bridges. I don’t yet have the humility to be a teacher who is constantly teachable, let alone one who keeps bringing up past deficiencies. I prefer that others see I’ve always been right rather than let them see how I’m growing. I can be a better teacher if I let my students see that I too have much to learn from God and am willing to have him shape me for the rest of my life. I need the Spirit’s work. I need the confidence that comes from the gospel and makes room for humility to flourish.